General Motors (GM) is recalling certain model year 2013 Chevrolet Express vehicles manufactured November 1, 2012, through December 21, 2012; and model year 2013 GMC Savana vehicles, manufactured November 14, 2012, through November 20, 2012. It may be possible to remove the key from the ignition when the vehicle is running or the transmission is not in the Park position. As such, these vehicles fail to conform to the requirements of Federal Motor Vehicle Safety Standard 114, "Theft Protection." If the ignition key is removed while the vehicle is still on and/or the vehicle is not in Park, the vehicle may rollaway and the unintended movement of the vehicle may result in a possible crash or injury to pedestrians. 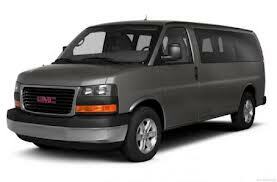 Got a lemon Chevy Express or GMC Savana? Want a new Chevrolet van or your money back?